In our modern-day society, chemical exposures to industrial pollution and environmental toxins are ubiquitous and virtually unavoidable. I am constantly advocating that we increase our awareness of this persistent issue and reduce exposure as much as we possibly can. The good news is that one of the body’s most ancient regulatory systems…good old perspiration…is increasingly being clinically confirmed to provide more than just a thermoregulatory role—to cool us off when we’re hot. Sweat is a powerful detoxification mechanism as well. 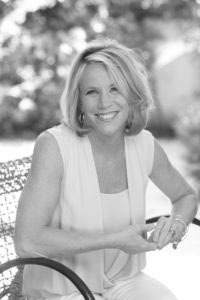 I know, I know…if you’re experiencing hot flashes or night sweats, as part of your mighty transition into menopause, I’m sure you’re thinking I’m crazy to encourage you to do more of it. But, I assure you—I am not! The use of heat therapies in healing goes back centuries. Native Americans have been using sweat lodges for ceremonial and medicinal purposes for over 40,000 years. Sweating burns calories and speeds up the metabolic process of the endocrine system. Sweating in a hot environment such as a sauna is the only detoxification program that has proven successful in removing chemical pollutants that accumulate in fat cells. Sweating excretes toxins and metabolic wastes from the body, including cadmium, lead, nickel, sodium, sulphuric acid and excess cholesterol. A regular sauna habit may help prevent dementia. The good news is that you don’t need to go to the gym or a spa to get these benefits. Recent technology has enabled sauna treatment to be possible with non-traditional facilities in the form of infrared saunas. 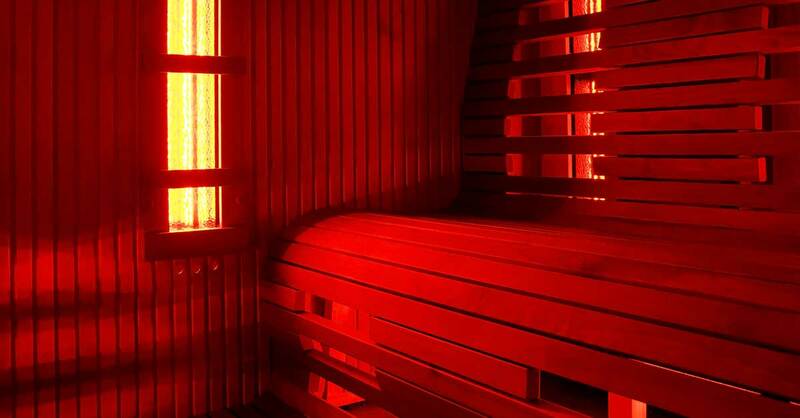 These saunas use infrared light to heat the body from within, rather than passively heating the air around you. They can work at lower temperatures. This recent technology has also lead to an increase in research and benefits beyond increasing circulation, lowering blood pressure and assisting with detoxification. 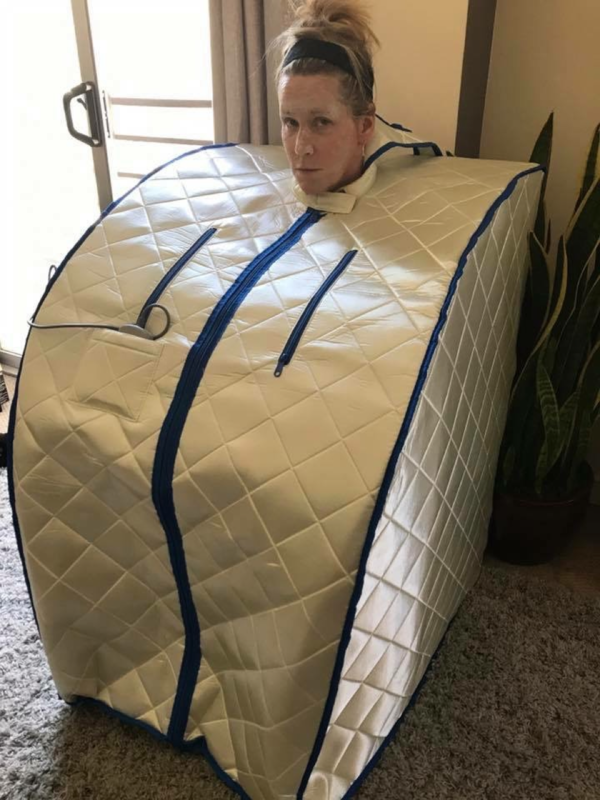 Infrared sauna therapy also has been shown to assist in weight loss, decrease pain, rejuvenate skin and to heal skin conditions such as acne, psoriasis and eczema. For example, a 30-minute infrared sauna session can burn 200 to 600 calories. Researchers have been tracking the incredible results of using infrared therapy on lower-back and upper-body pain. The even better news is that you can actually have this extraordinarily comprehensive healing therapy in your own home! Companies that are just one Google search away offer safe, affordable and effective infrared saunas that you can use right in the comfort of your own home. And yes, that picture is of me in my home infrared sauna. In my clinical experience, those who use sauna therapies and sweating have actually seen a decrease in hot flashes. These approaches help detox the body and rid the adipose tissue of hormone-disrupting “xenoestrogens” that can contribute to hot flashes. So make “purposeful” sweating a daily detox behavior. When in doubt, sweat it out!